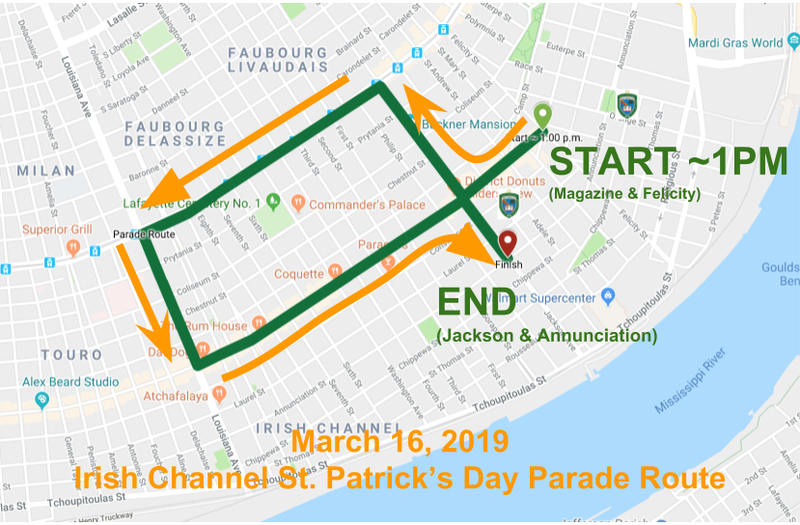 The Club marches in the annual Irish Channel St. Patrick's Day Parade, which always takes place the Saturday before St. Patrick's Day (March 17th) or on St. Patrick's Day if March 17th falls on a Saturday. The parade usually begins around 12:30pm. We wear our traditional green vests with the Corner Club patch, a white collard shirt and black slack, which is topped off by one of our many Corner Club hats. Members must wear black slacks, white collard shirt, Corner Club Vest and Corner Club Hat. NO JEANS!! No personal ice chests will be allowed on either trailer. All kids can walk for free but MUST carry a banner, there should be more than enough banner boys to take turns. Everyone must check in when they arrive at the club in order to receive a wrist ban, this will give you access to the trailer and beer. Club will march from the hall to its line up location at Josephine St. and Magazine St.